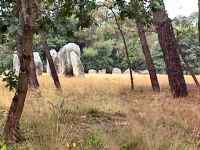 Cromlechs, also called stone circles or enclosures, are quite rare in Brittany. 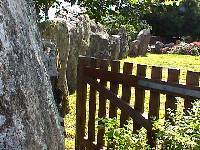 Some are circular but most are oval or barrel-shaped. Rarely, they are quadrilateral. 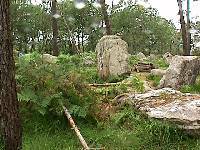 The stones are often placed close beside each other, hence the name enclosure. 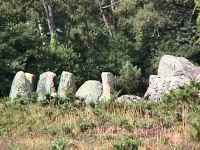 At least 4 cromlechs were associated with the alignments at Carnac. 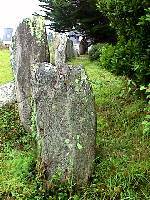 Below is a map showing the location of cromlechs/stone circles in the Carnac/Gulf of Morbihan area. 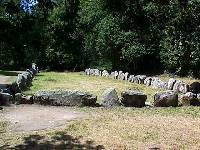 100 meters north of Kerlescan alignments is another stone circle, a flattened circle, more than 90 meters across, with at least 42 stones. 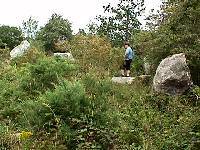 The area is very overgrown and we could not find the circle. 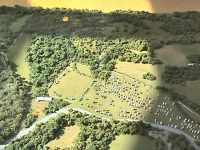 The photograph of the model of the Kerlescan site shows the barrel-shaped cromlech or quadrilateral at the west end of the alignments. 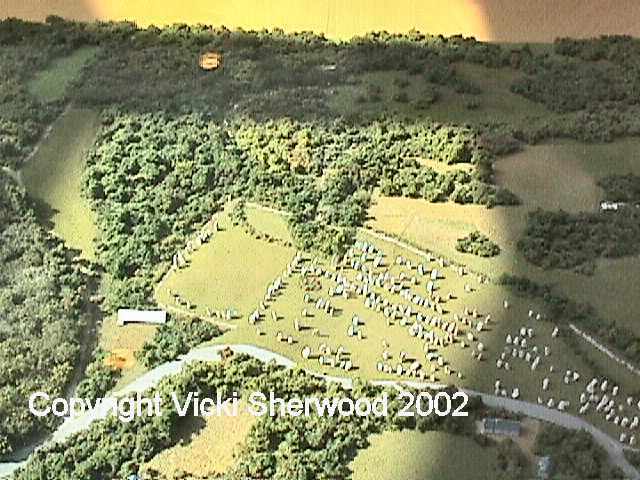 Above it is the large stone circle. 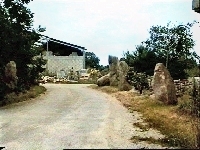 Click on the photo to see a large-scale photo. 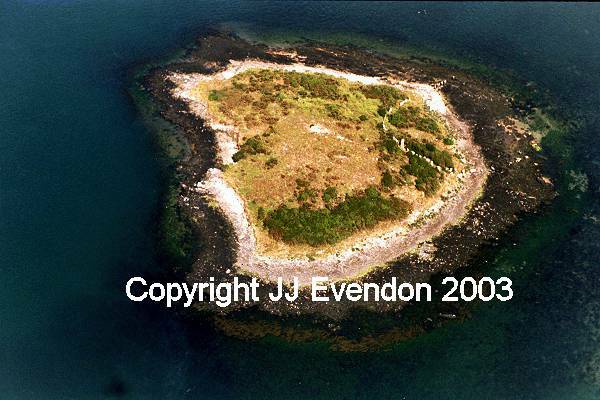 The aerial photograph of Er Lannic was taken by JJ Evendon who has kindly permitted me to show it here. 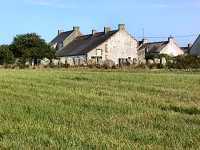 Click on the photo or here to see the full-sized picture. 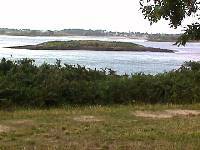 The partially submerged circle is on the right side of the island. 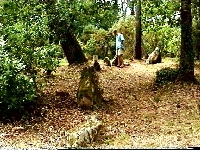 Half of the second circle is just visible at the right edge of the photo. Many thanks JJ for this photograph. 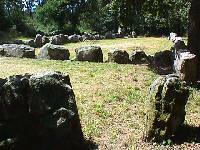 Except the aerial photos of Er Lannic by JJ Evendon, all photographs were taken by myself, during trips to the megaliths of Carnac in 1980, 1983, 1994, 1998, and 2002. All photographs are my property and may not be copied or used without my written permission.